What is this Good Man Project? It’s an editorial content destination you’ll find on the web and through mobile, riding the wave of digital publishing through curated editorial viewpoints on topics ranging from love and parenting to ethics and sports. Founded by entrepreneur Tom Matlack, our vision is never to tell anyone what we think a good man might be, but to share the considered points of view of thousands of vetted contributors on the uneasy questions surrounding the issues of being a man in the 21st century. Why Good Man and not Good Person? We observe that there are any number of sites dealing with the broader issues faced by both genders, but almost none taking a serious approach to some of the deeper issues faced by men. Curiously, we have found our audience to be half men and half women, with our contributors mirroring that dichotomy. Perhaps more interestingly, we find no bias as to whether a topic is covered by a man or a woman, and in the often hundreds of comments that follow our stories, we observe men and women talking with each other about subjects you seldom observe strangers discussing and debating without invective or attack. It’s a wild line we walk, and we love it. We have surpassed 150 million cumulative page views. We have published over 22,000 articles. We have ranked as high as #243 in Quantcast. We average about 3 million page views per week, with more than half our stories getting over 5000 views and our best stories over 100,000 views. And of course we occasionally have runaway hits that are off the charts. We have over 60,000 Facebook fans and over 100,000 Twitter followers. Our work is overseen by more than 30 editors from the U.S., Canada, Costa Rica, Malaysia, Spain, and the U.K.
What do we think about this? We call it a decent start. 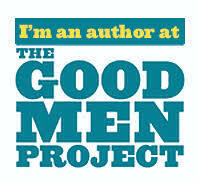 If you had asked anyone at the launch of The Good Men Project how far into the future 100 million page views would be, I promise you no one would have said 3 years–not a chance! So when we think about what our business might look like a year from today, it is impossible for us to predict much of anything other than to say we aspire to do better. When asked to what do I attribute our joyous success to date, that’s easy: People, Products, Profits, in that order. Yes, that happens to be my life mantra for innovation and the theme of my blog, but like I say, for me, these aren’t words, it’s a mandate. Recently I was reviewing a draft of our annual report with our CEO–more about her in a moment–and as we edited our slides, I got fixated on a virtual org chart that we didn’t have a year ago. It was a matrix of our editors and the categories they cover every week. In looking at that chart and how it tied back to our exponentially increased workflow, it was once again obvious to me that none of this would be possible without the immense talent in our community; these are the People who create our Product. That Product, our collection of stories and voices to which we add new material almost every waking hour of the day, is what our customers experience. The excellence of that Product is our lifeblood, and our unending commitment to improve it is what has graciously allowed us to create an embraced customer experience. Customers mean the world to us, their experience is what matters most, but it is our team that creates that experience, and that is where we focus our energy. And I’ll let you in on a little secret, having focused on People and Products, we are already modestly profitable, albeit at a very early scale, enough to let us recommit to our core values. None of this would be possible without the ceaseless commitment of our CEO, Lisa Hickey. Lisa’s passion for this subject is exemplary, and her evangelism for our brand and our community is a source of pride for everyone involved with this mission. I honestly don’t think she sleeps. She is at the helm of every aspect of The Good Men Project from uptime to story selection to ad sales to social media integration. And yes, Lisa is a woman guiding The Good Man Project, and that is a big part of what makes us unique. She is welcoming, encouraging, open-minded, and forward-thinking. Most of all, she is a great partner, and I will have to twist her virtual arm to leave this paragraph in the post. We thank everyone involved–our readers, our commentors, our writers, our editors, our sponsors, and our suppliers–for being part of this launch. We hope if you are a regular, you will sign up for our free email list (we publish a fantastic daily digest) or consider becoming a premium member for a small fee that includes a welcome gift. If you haven’t visited The Good Men Project in a while, come see how we have shaped and molded and evolved our site over the first three years, then join our community and help us take it together into the future. Like I said, we’re just getting started. We have a tremendous amount of work to do, and we can’t do it without you! This entry was posted in Business, Innovation, Media, Writing and tagged daily digest, evangelism, Good Men Project, good person, Lisa Hickey, People Products Profits, Tom Matlack. Bookmark the permalink.